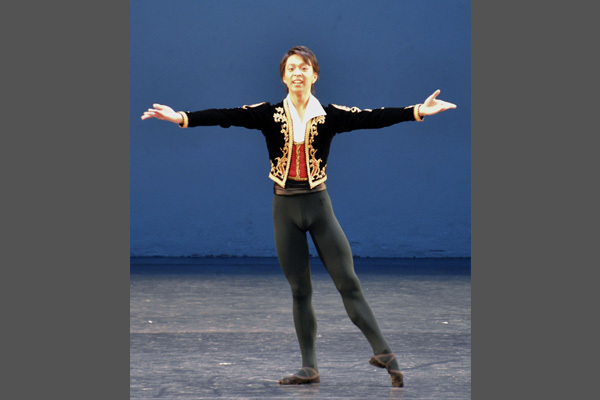 NEW YORK – Yuma Matsuura of Japan has won the senior age division at the Youth America Grand Prix audition for promising young ballet dancers, the organizer said Friday. As there was no Grand Prix award winner in the senior division for dancers between 15 and 19, the 15-year-old from the western Tokyo suburb of Tachikawa became the top male dancer in the division. Set to become a student at Britain’s Royal Ballet School in September, Matsuura said he wanted to excel. “I want to be a dancer that can bring a smile on everyone’s face,” he said. Other Japanese participants also performed well at the event. Masaki Suetsugu, 14, from Tokyo’s Toshima Ward became the runner-up in the men’s group in the junior age division for dancers 12 to 14, as did Yo Nakajima, 13, from Sumida Ward, in the junior women’s group.